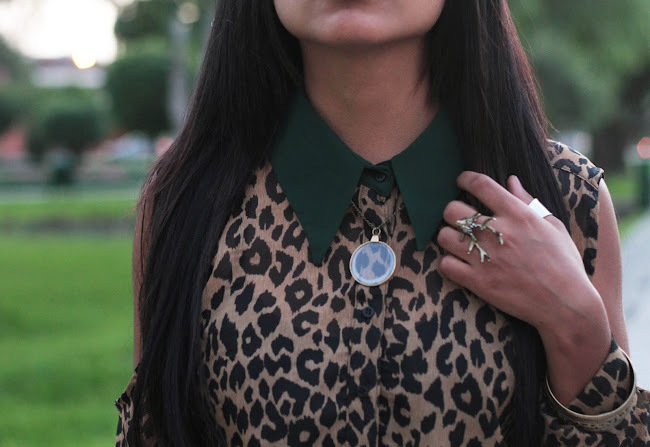 Como ya habían visto en las fotos de ayer, esto fue lo que usé el jueves en el Lif Week, la blusa es de Cocó Jolie, me encanta la mezcla del leopardo con el cuello verde. Me puse el collar (que uso siempre ultimamente) anudándo la cadena por atrás para que quedara más cerca al cuello. El pantalón de tercipelo es Camote Soup y los zapatos Steve Madden, ojalá les haya gustado! Ya se vienen más looks del último día del Lif Week! Like you saw in yesterday’s post, this is what i wore at the fourth day of the Lif Week, the blouse is Cocó Jolie, i love how the leopard looks with that green. I made a knot with the chain of the necklace so it could be nearer the collar. The velvet pants are Camote Soup and the shoes Steve Madden, hope you liked! Tomorrow more looks of the last day of the Lif Week! Me encanto la ultima foto!! Te lo dije ese día, la blusa está HERMOSA! the blouse is amazing! love your styling! leopard is perfect for you. VISIT MY BLOG AND JOIN MY £50 MOTEL ROCKS VOUCHER GIVEAWAY! Oooh, I commented on this blouse in the last post, but thanks for doing an outfit post on it! 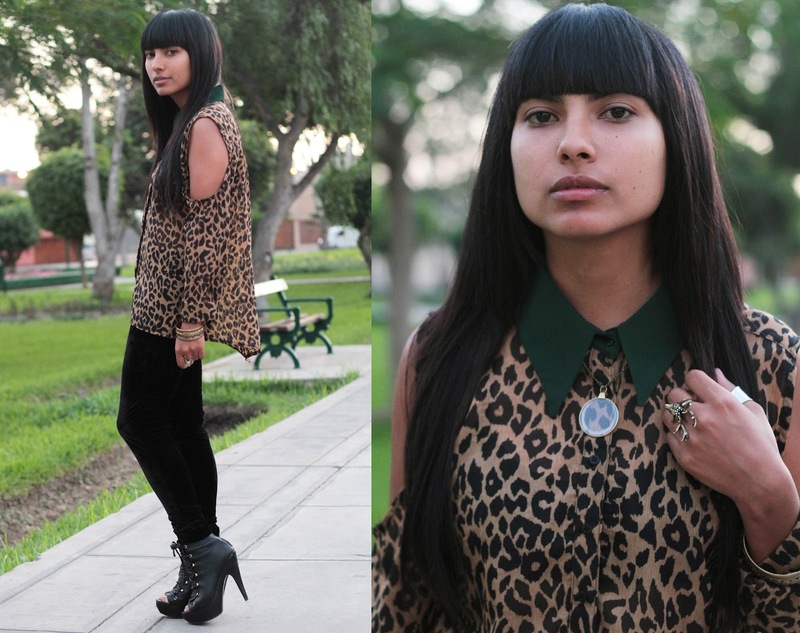 I love the leopard print and green velvet collar. Such gorgeous cut-outs! Leo is always a good choice :))! p.s. great photos from Fashion Hunt in prevoius posts, so many inspirative outfits! Adoring that top! LOVE the cutout shoulders and the green collar!! your shirt is so great! Muero por tus zapatos… hacen con todoo!! I like your shirt, this is beautiful and very fashion..